Please come join us for the 2018 Annual Holiday Potluck Dinner & Member Meeting of The Arizona Mushroom Society, Inc. When: Saturday, December 8th, 2018 at 6:30 p.m.
Where: Maricopa County Extension Service Building, located at 4341 East Broadway in Phoenix, Arizona. The entrance (easy to miss in the dark) is on the South side of Broadway Rd, about 30 feet east of the Traffic Light at 43rd Place. What: Vote for AMS board members, learn about lichens, win the raffle, and feast at the potluck! At this meeting you will vote for two members of the AMS board of directors to serve when Winter Zeiler and Nathan Markam's terms are up at the end of this year. If you wish to nominate yourself or someone else for the Board of Directors, please email the AMS President, and try to come to the meeting so you can tell our members about your candidacy and your vision for our future. We are extremely fortunate to have Dr. Frank Bungartz from the School of Life Sciences at Arizona State University as our guest speaker, who will deliver a lecture on lichens. We mushroom hunters often overlook the humble lichens that are common on rocks and trees all over the state, but the truth is that these symbiotic communities of fungi and algae are some of the most complex, unique, and interesting organisms on the planet. Dr. Bungartz will discuss basic lichen biology and ecology, then speak about the work he has done in Arizona, Mexico, and the Galápagos Islands. He is well qualified to instruct us, as the Collections Manager of Lichens and Digital Data at Arizona State University. His research focuses on biodiversity, evolution, ecology and conservation of lichenized fungi. He worked intensively in the Greater Sonoran Desert Region (southwestern USA & northwestern Mexico), in Central America (Mexico) and in South America (particularly the Galápagos Islands). Frank is a contributor to and editor of the Lichen Flora of the Greater Sonoran Desert Region, a comprehensive treatment of all lichen species known from this region, published in three volumes from 2002-2007. 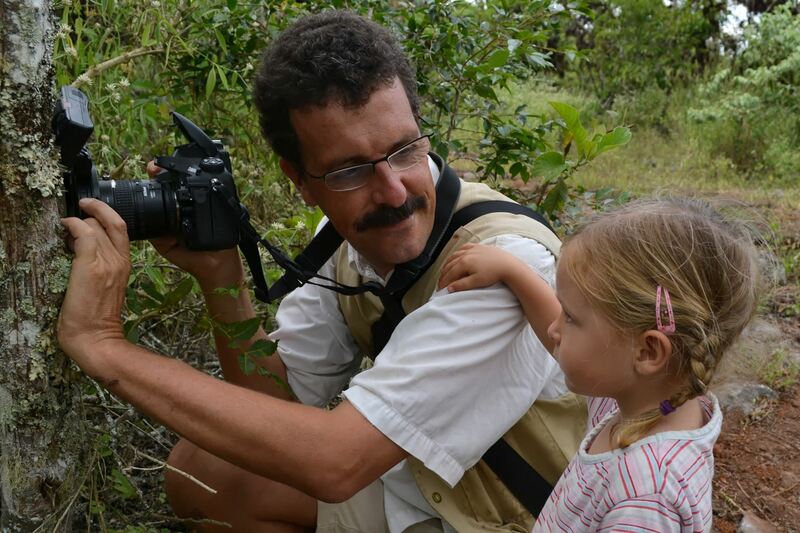 In South America Frank has also worked extensively for more than ten years on a Species Inventory of Galápagos lichens. Together with his collaborators, Frank discovered hundreds of new records from the archipelago, and as part of his research more than 50 new lichen species have been described scientifically. Frank works on an illustrated, comprehensive guide to Galápagos lichens and a IUCN red-list of the lichens threatened there. Raffle prizes, and plenty of them, will again be available to win at the meeting. Our member Beth Bilodeau does an unparalleled job bringing in these donations! You may bring a few extra dollars as you will undoubtedly find many Christmas presents to cross off your list among the raffle prizes, and maybe one for yourself! Each attendee will get one ticket, and extra tickets for the raffle will also be available for $2 each, 3 for $5, or 7 for $10. Each raffle item will have a bag with it that you can place your ticket to potentially win that item! Proceeds will support the Dr. Chester Leathers Scholarship Fund, which awards $500 per year to a graduate student in a fungal-related field of study at one of the Arizona universities. If you know of a worthy student, please encourage him or her to send a CV and a short description of the work that this grant would support. If your last name begins with letter Q-Z, please bring a salad or side dish; if A-H please bring a dessert; if I-P please bring a main dish. If you bring a dish containing wild-picked mushrooms, you should note that sharing of mushrooms between members is at the sole risk of the individuals involved, and should comply with the Society's published safety guidelines. We need one or two volunteers to help set-up the room and help during the meeting. If you are planning to attend the event and can help out, please contact Mike Dechter. If you can't help with this event, but still want to get more involved, we are always looking for folks that want to learn how to organize and run mushroom forays or other mushroom-related events. Remember that this club is an all-volunteer, non-profit organization that can only succeed via robust participation from its membership. Look over the various committee pages and think about where your talents might be best used. Mark your calendars for December 8th, 2018 and plan to attend the Winter Potluck!